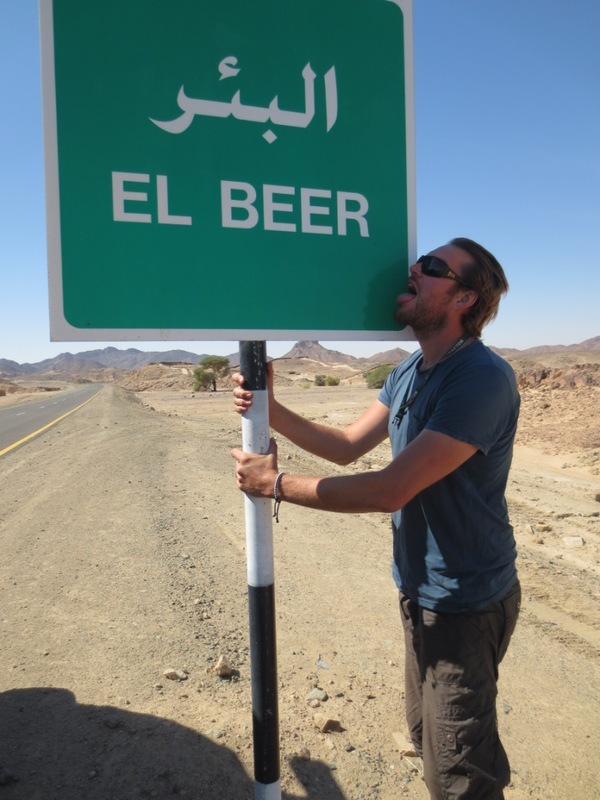 Crossing from Ethiopia into Sudan is like stepping out of a packed, noisy bar into a quiet, empty side-street. As you cross the border line, the throng of people seem to just disappear and the noise is simply turned off. Sudan is a big open land, with a small population of the most dignified and gracious people you can ever meet. Considering the FCO portrays Sudan as a dangerous country, full of terrorists, we experienced nothing but the warmest of welcomes and enjoyed a couple of the most relaxing weeks so far on this trip. The border crossing at Gallabat was our longest, hottest one yet. Arriving at 2pm, the immigration office was empty and no one was to be found at customs. We are then told that the generator for the office only switches back on at 3pm, so we must wait until then. By the time the generator grumbles back to life, we’re both feeling fairly hot and bothered and keen to get away from the border touts and into our next country. The passports are stamped through with little drama, but the customs official wants to check everything in the car. It seems his job is to try and find anything you may have purchased in Ethiopia so he can extract a tax payment. This included trying to charge us for a wooden mask we bought in Malawi, which still had the label and details of the mission where it had been made in Malawi. Rich patiently explained this one, but completely lost his cool when the customs official found some Australian toy Koala bears we had bought with us as gifts – ‘This is Ethiopian’ he declared. Rich, tired of this ridiculous man, grabbed them out of his hand and yelled ‘When have you ever seen a Koala in Ethiopia? You DO NOT have Koalas in Ethiopia. His little jacket says AUSTRALIA, NOT ETHIOPIA!! We are done here’. With that we both got back into the car, me trying not to burst out laughing and the customs official looking rather put out, begrudgingly opened the barrier for us. The Sudanese side was instantly calmer, but there was a lot of paperwork to get through and no one was rushing. Despite already having visas ($70each), you also have to register once you’ve entered. This used to be done in Khartoum but now can be done on the border, for another $40USD each, – Sudan has been the most expensive country to enter so far! All the paperwork is painstakingly copied out at least 3 or 4 times in carefully crafted Arabic script – this is then repeated at customs and again at ‘security’. By 5pm we were finally done and on our way into Sudan. It had been a long day, starting with a puncture, the bull bar falling off and a long, hot border crossing so we were keen to find a camping spot and stop for the day. 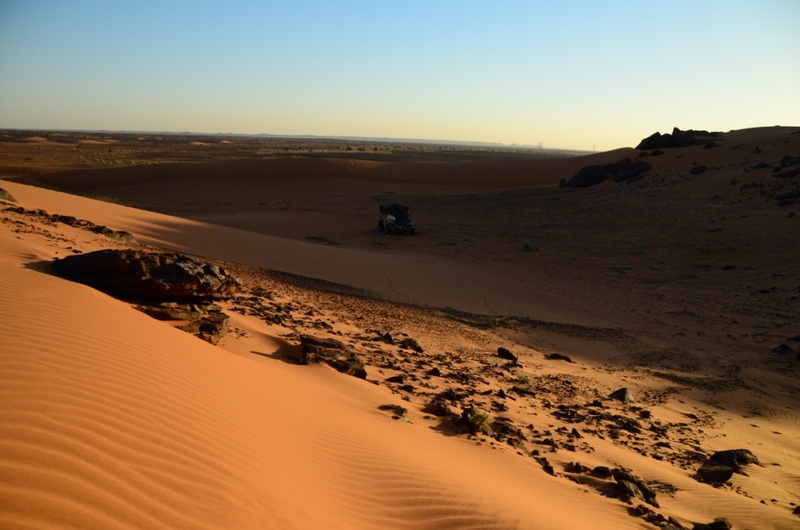 The most amazing thing about Sudan, is that you can pretty much pull off the road where ever you like and set up camp, there is no one around to bother you. So just 25kms out of Gallabat we saw a couple of small hills off the side of the road and decide that camping behind those would make a great first stop. It was the first fantastic night’s sleep we’d had in ages. No noise, no people, no prayer calls – perfect! 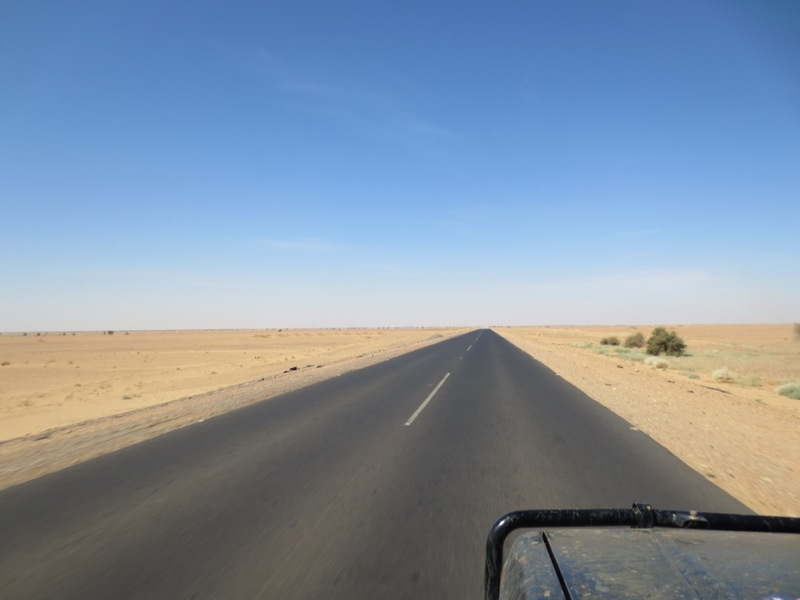 We were up at dawn the next day to complete the 580kms to Khartoum – which all on good tarmac meant it would be an easy but long drive. We stopped for lunch at Wadi Medani, a little town on the Nile. 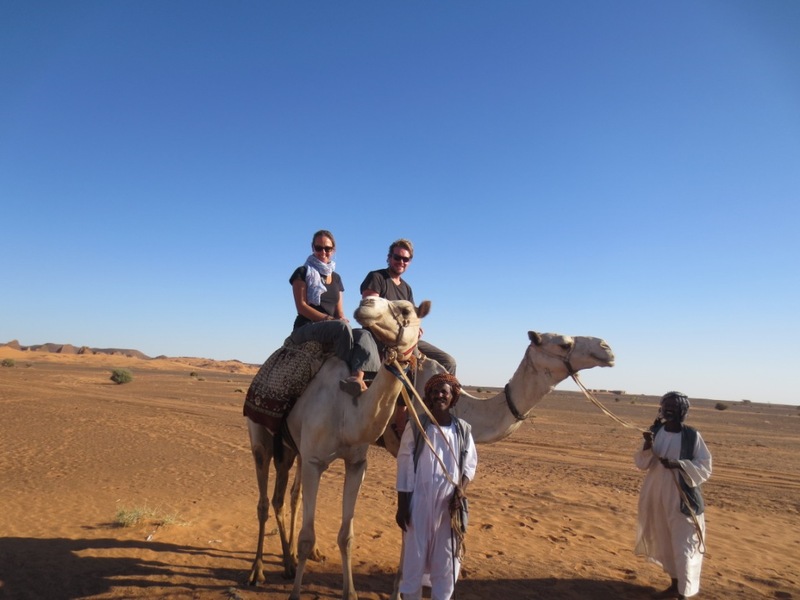 Apparently a hot-spot for Sudanese honeymooners, we didn’t find it particularly romantic – the large brown town on the Nile’s brown waters, just didn’t look that appealing!! 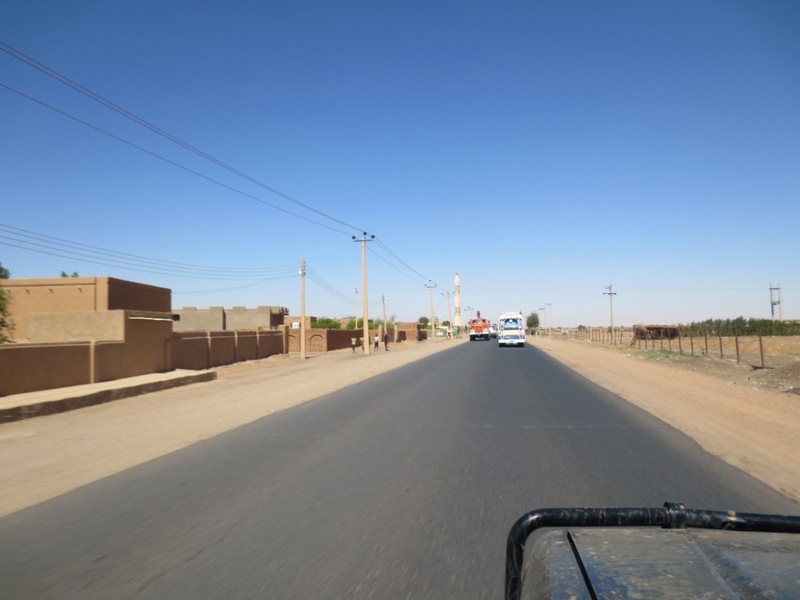 We continued on, the long stretches of road disappearing into the distance, the small settlements along the way nothing more than 1 storey mud brick houses – did i mention it all seems to be hot and brown? Khartoum itself, was actually a pleasant surprise, much more civilised than Addis and a lot cleaner and smarter! We stayed the night at the Khartoum Youth Hostel, which had a lovely big courtyard we could camp in and didn’t seem to mind that we’d accidently parked in their prayer spot. As we set up our tent, the men bought out their prayer mats and prayed next to our car. We sat and watched them, and after they were finished they sat and watched us – both equally as intrigued about each other! 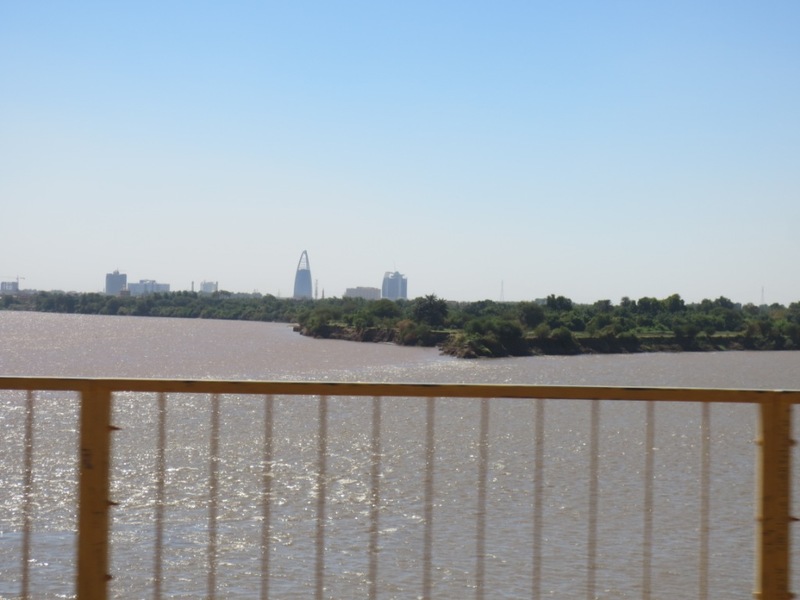 The next day we explored Khartoum and went to see the famous Nile confluence, the joining of the Blue and White Nile. Again, they both seemed to be slightly different shades of brown, but you can distinctly see the difference in colour of the 2 rivers as they meet before blending together. We also had to head to the Tourism office to obtain a photography permit, which lists what you can and can’t take photos of. Bridges are a particularly sensitive issue and many tourists have been arrested in Khartoum for this offence! I haven’t heard of anyone having to produce their permit, but in a country which is ruled under Sharia Law, we don’t want to test what happens if you break the rules! My covert attempt at taking a photo of the nile confluence! 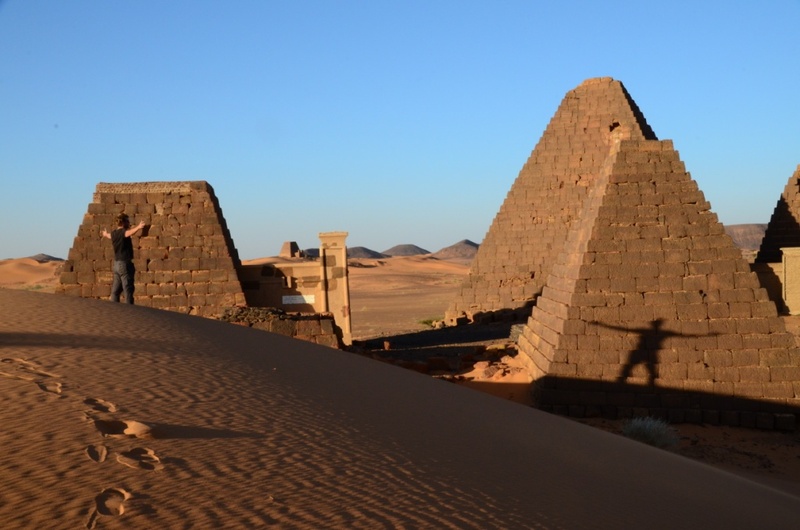 From Khartoum we headed out to the Meroe Pyramids, the funerary tombs of ancient Kings and Queens which date back to the 4th century BC! As we headed further out into the desert, the vast emptiness was only broken by the tree-lined Nile, which seemed like a huge green snake winding it’s way through the desert. Most of the settlements we passed clung tightly to the banks of the Nile, but surprisingly many places we passed were miles away from the river –at least a days donkey ride to collect water enabling them to survive in the nothingness of the desert. As we arrived at the pyramids we were greeted by men on camels – they were keen to take us for a ride – so was I. Feeling all excited and like an ancient explorer, I was up on the first camel and riding off towards the pyramids and into the sunset. Not wanting to be left behind it wasn’t long before Rich was onboard and we rode our camels together. It was wonderful! Once our ride was finished we drove out towards the pyramids to find a good camping spot. Despite it being a world heritage site, there was no one here and we had the whole place to ourselves! We found a fantastic spot in the dunes to the side of the pyramids where we spent the evening sitting out under the most amazing star filled sky. 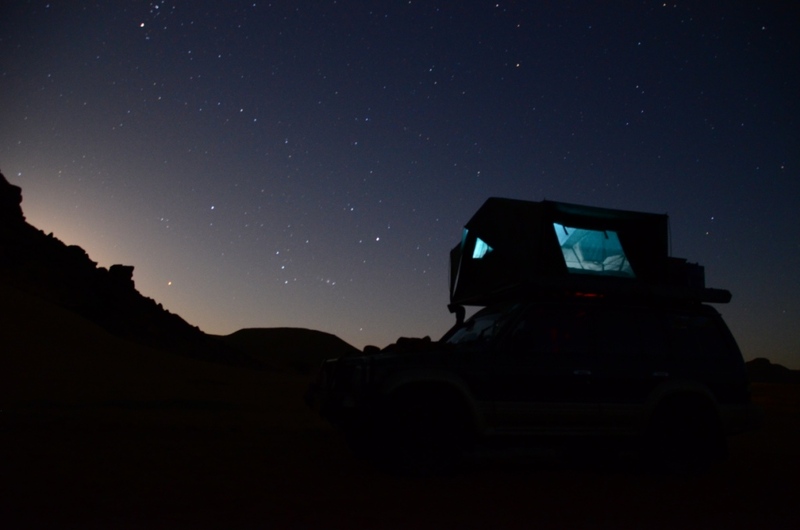 There really is nothing more beautiful than the stars at night in the desert. We then had the pyramids to ourselves the next morning. Many have been ‘decapitated’ by treasure hunters, but inside the remaining pyramids are some of the best examples of hieroglyphics you’ll find anywhere. 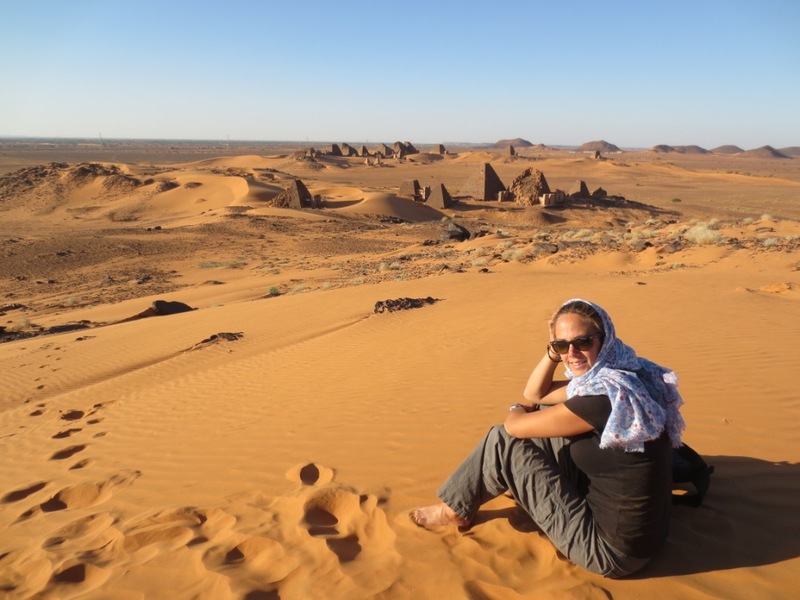 Meroe was definitely worth the detour out into the desert and now with brand new tarmac roads connecting Atbara all the way through to Dongola and onto Wadi a journey which would have previously taken several days on slow gravel can now be done in a day. We whizzed through to Dongola, crossing the most ‘Deserty desert’ either of us have ever seen. Fortunately for us, it’s winter here so temperatures are only in the late 30’s so we had no problems with overheating. However, the dead animals and thousands of burst tyres that line the roadside demonstrate that things are lot harder when the temperatures exceed 50 degrees celcius! 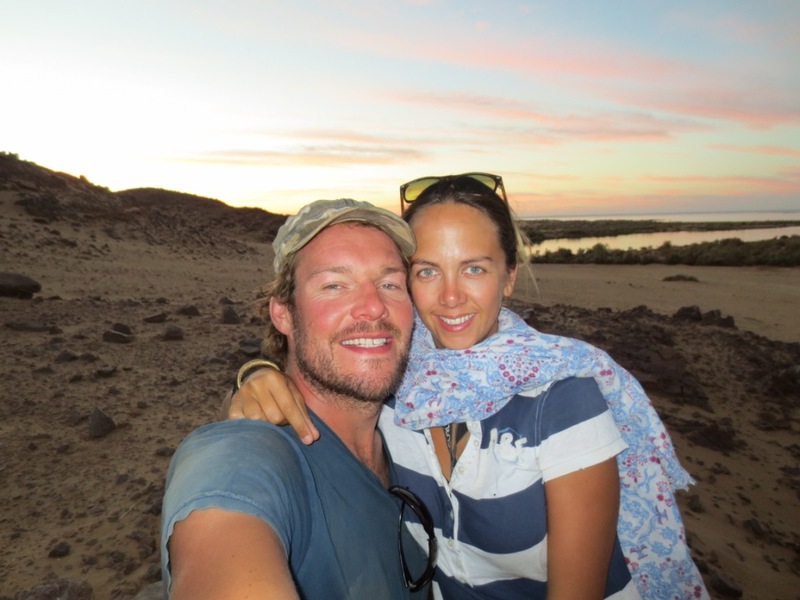 We arrived late into Dongola and unfortunately the only decent place in town, The Nubian Guesthouse, has recently been sold so not liking the look of any other options, we headed out of town to find a bush camp, relieved to have the luxury of our bed to sleep in! From Dongola it was the final stretch up to Wadi Halfa, on Lake Nasser, our final destination in Sudan. Despite a huge land border between Sudan and Egypt, the authorities insist that everyone must cross the border using the once a week ferry service from Wadi Halfa to Aswan. This helps keep tighter control on who is entering the country, but more importantly is a great money spinner for both countries. We had arranged for a fixer, the well known Mazar, to meet us in Wadi Halfa to help us arrange our departure. Despite the ferry service running once a week, vehicles have to travel on a separate barge used to transport goods between the countries. This means depending on what cargo is being shipped and when, you car can be waiting days. Having previously arranged with Mazar for our car to travel before us, we arrived on the agreed date, only to find that the car barge would not be leaving for at least another 3 days. So rather than waiting in the less than desirable Wadi, we decided to head back out into the desert and find a pleasant spot to pitch for a couple of days. Before heading out, Mazar, was very helpful and took us to buy bread and supplies as well as taking us to the local welder to get the bull bar fixed back on! All sorted, we found a lovely spot on the edge of the lake amongst the sand dunes, were we spent a couple of very lazy days. On the third day we returned back to Wadi to organise our ferry tickets – the passenger boat and a car barge had arrived into port on Monday, so we were pleased to know that our ferry would be departing on time the next day and were told the car could also be driven onto the barge before we left. Feeling relieved that the plans were coming together, Mazar invited us to stay with him that evening so we could get going early the next day. It was our first experience of true Sudanese hospitality and we had a wonderful evening with him and his new wife. She prepared a huge meal for us of different types of meat and bread, which after 3 days of survival food (super noodles, Smash, pasta) in the desert we were very happy to be eating good food again – all with the right hand of course! After dinner, his wife was keen to show me all her locally made perfumes and natural clay moisturisers, i’m not sure if it was her polite way of saying that 3 days out in the desert wasn’t good for body odour levels, but it was fascinating to learn all about desert beauty treatments! As a newly married woman, she was for the first time allowed to use henna on her hands and feet and Sandal Wood incense, a smell reserved for married women only, to clearly distinguish them from single women. She showed me how they ‘smoke’ their bodies and clothes by sitting over burning incense – I was also given the smoking treatment, which had Rich in hysterics as i was made to nervously sit over burning embers and watch as the smoke came up through my dress! That night we lay in our little single beds in the courtyard of the house, wondering what the boat journey to Egypt would be like. As another legendary part of the journey amongst overlanders, we hoped it wasn’t going to be as awful as the rumours said it would be. How lovely a great insight you are providing, enjoy stay safe…….